Now, the most popular guide to the best low-cost franchise opportunities available has been completely updated in a brand-new edition! 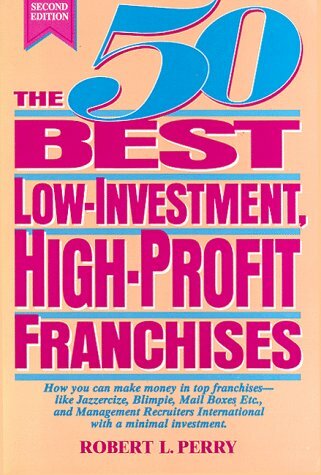 The 50 Best Low-Investment, High-Profit Franchises is the ideal guide for everyone who dreams of starting their own business. It selects, from among the thousands of franchising deals now available, fifty of the very best that can be launched with as little as $2,000 or as much as $100,000. Describing each franchise offer in detail, this thorough, easy-to-understand handbook identifies which franchisors offer the most complete package of service support and training; tells you how to pick a winner - whether you're looking for the smallest cash investment, the fastest payback, or the biggest returns; cites hidden costs and warning signs to watch for and explains how to spot them in a prospectus and other documents; features an easy-to-follow, break-even analysis for figuring return on investment; and also lists 100 extra profitable franchises available for $100,000 to $150,000. Including a model business plan that helps you clarify your goals and organize your operation to meet them. The 50 Best Low-Investment, High-Profit Franchises walks you through every step you must take before and after buying a franchise outlet to minimize worries and maximize success. Perry lists 50 low-investment, high-profit franchises. 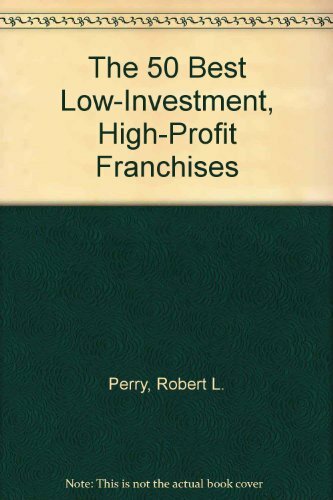 The book's first three chapters provide an introduction to franchising and include guidelines on how to select the best franchise. The remaining chapters describe the 50 franchises selected by franchise fee range, i.e., $0-$5,000 to over $20,000. The description for each franchise includes name of president; address; phone number; discussion of its line of business; costs; benefits; and earning potential. The book's major assets are its thorough descriptions of the franchises and its concentration on a specific target audience, those with relatively little capital. Readers may also wish to consult the Department of Commerce's annual Franchise Opportunities Handbook. Recommended.